1. Screw rod fixation. Use 4 screw rods pass through the steel grating aperture, fix them with screw. 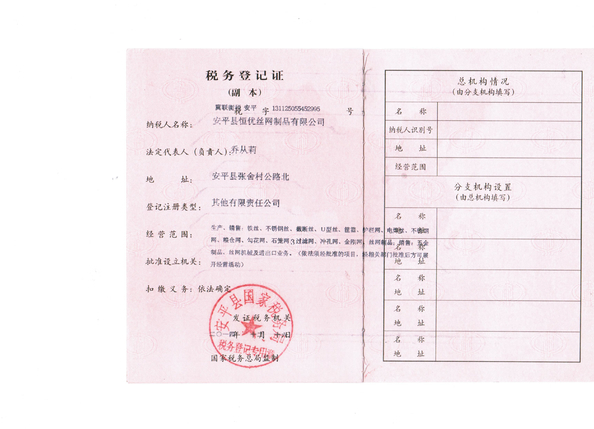 2. packing belt strapping, which is generally applicable to a relatively neat steel grating. 3. pallet guarantee, generally for export packing. Surface Treatment: Black, Hot dip galvanized, Cold dip galvanized, Painted, Powder coated, or as customers’ requirement. 12.5, 15, 20, 23.85, 25, 30, 30.16, 30.3, 34.3, 35, 40,41,60mm. 1 1/4"x 1/4", 1 1/2"x 1/4" etc. 1.Plain steel grating has a wide range of applications, which is available for almost all of he common applications. 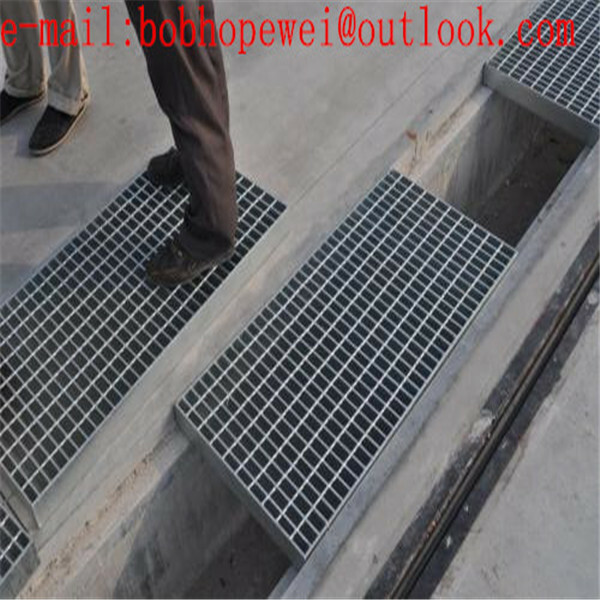 2.It can be used as stair tread grating in commercial and industrial applications. 3.Plain steel grating can be used in the municipal engineering as drainage trench covers to drain water and keep ground dry. 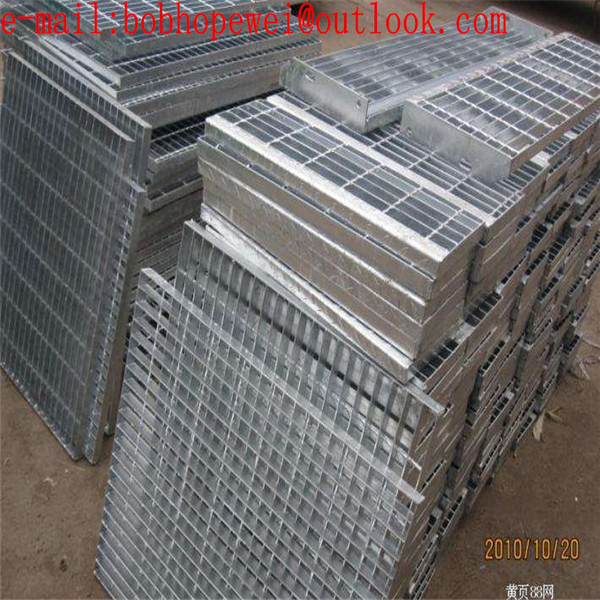 4.Plain steel grating can be used in the port, parking lot, farmland and other places as platform walkway grating for pedestrian and vehicles access and passing. 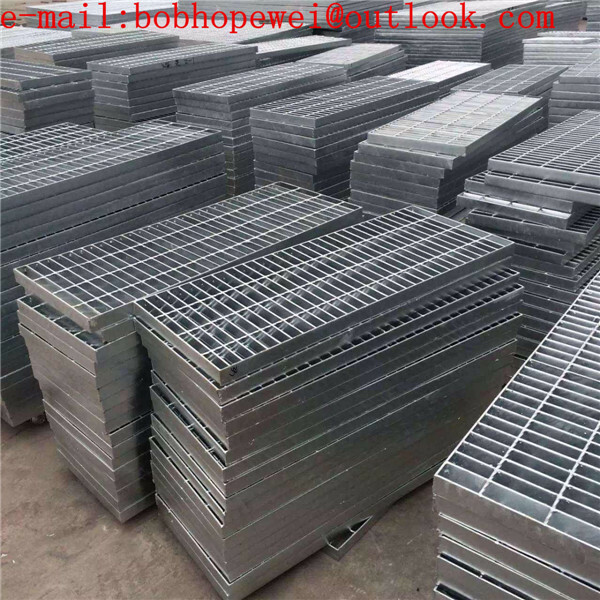 Manufacturing process of the steel grating. 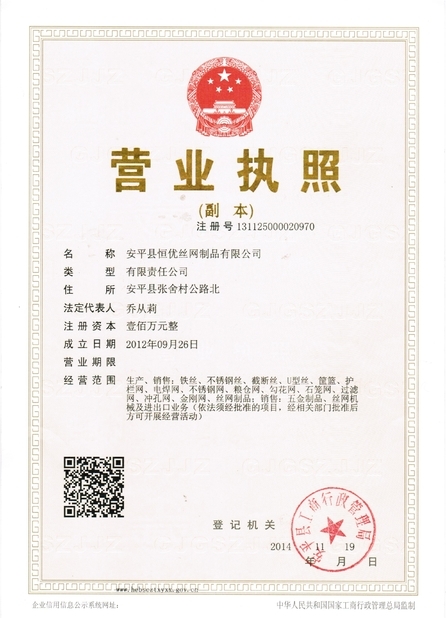 Welding process of the steel grating,we have two type of welding,manual and press welding machine. 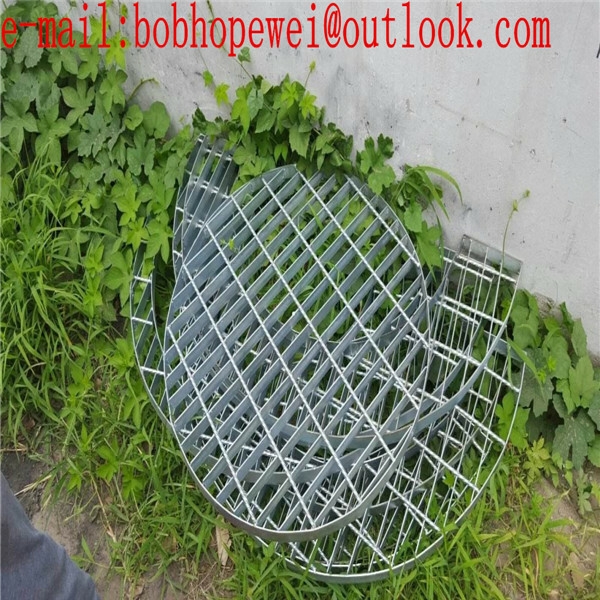 Your order will depends on the steel grating size and application.small and complicated steel grating shape,we always using welding worker to do the welding process. 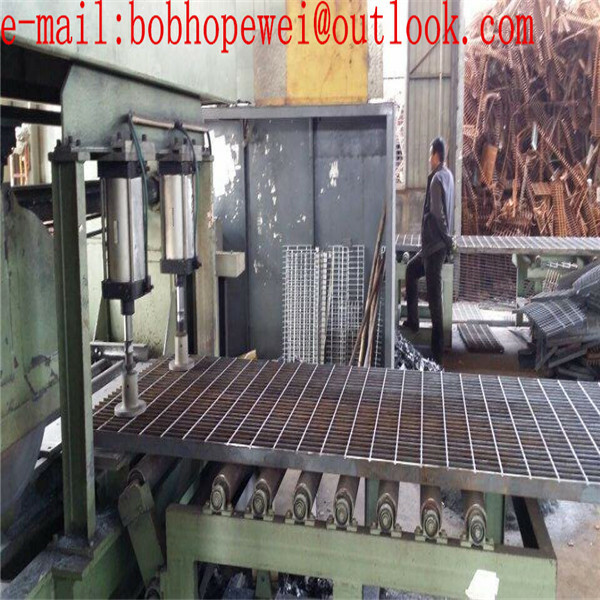 Big steel grating panel always welded by welding machine. 3. 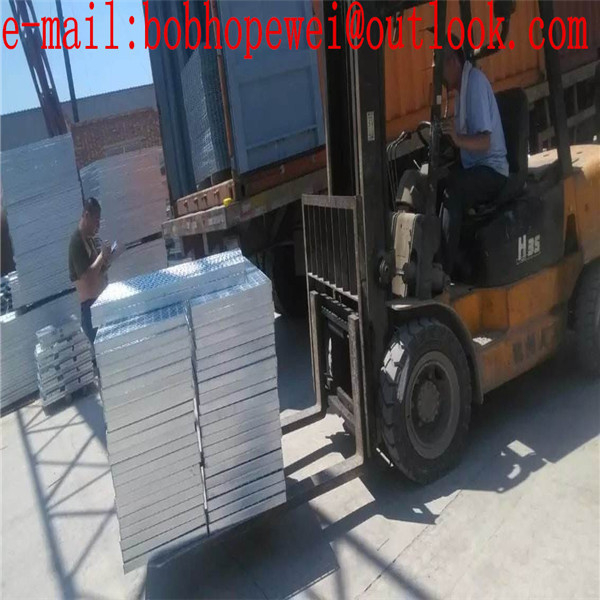 Steel Pallet: Traditional export packing. 4. According to customer's packing requirements. A: Generally it is 5-7 days if the goods are in stock, or it is 30-40 days if the goods are not in stock, it is according to quantity. Q:How can you guarantee your goods’s quality?